A COSMOPOLITAN SOUL, Gaither Stewart, the author of the Europe Trilogy is originally from Asheville, NC. After studies at the UC at Berkeley, other American universities and Munich University, he has lived most of his adult life abroad, first in Germany, then in Italy, alternated with residences in The Netherlands, France, Mexico, Argentina and Russia. After a career in journalism as a correspondent for the Rotterdam daily newspaper, Algemeen Dagblad, and contributor to the press, radio and TV in various European countries, he today writes fiction and journalism. 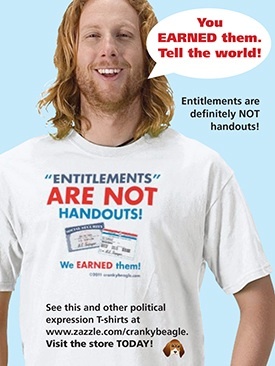 He is a senior editor and European correspondent for the major American online publication, The Greanville Post. His works are published in venues throughout the world. His collections of short stories, Icy Current Compulsive Course, To Be A Stranger and Once In Berlin are published by Wind River Press (www.windriverpress.com). His novel, Asheville, is published by www.Wastelandrunes.com. He lives with his wife, Milena, in Rome, Italy. Being a lucky fellow (at least where it counts) his cat Nina often keeps him company as he works into the wee hours. 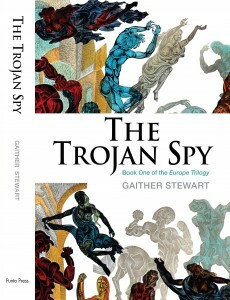 Punto Press is publishing his entire Europe Trilogy, of which The Trojan Spy is the first volume. Not since John Le Carré gave us Alec Leamas, the tormented antihero of The Spy Who Came In from the Cold, have we seen a master spy with the character complexities of Anatoly Nikitin, the formidable former Soviet agent whose ultimate target is nothing less than the organizers of present-day terrorism, embedded in western intelligence. 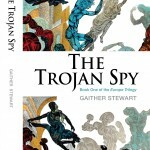 In The Trojan Spy, Gaither Stewart weaves not only a classic espionage thriller, but a compelling moral tale whose central questions resonate long after we put down the volume. In continuous action from the early period of the Cold War to today’s war on terror, Gaither Stewart knits together in elegant style a tale of murder and intrigue, told with an insider’s knowledge of duplicity and set with authentic detail in places like Moscow and Munich, St. Moritz and Perugia, and the Middle East. The Trojan Spy is for thoughtful readers who take time to savor the style, the exotic locales, and the psychological nuances. A highly readable spy novel refreshingly different from the “standard” in the espionage genre. 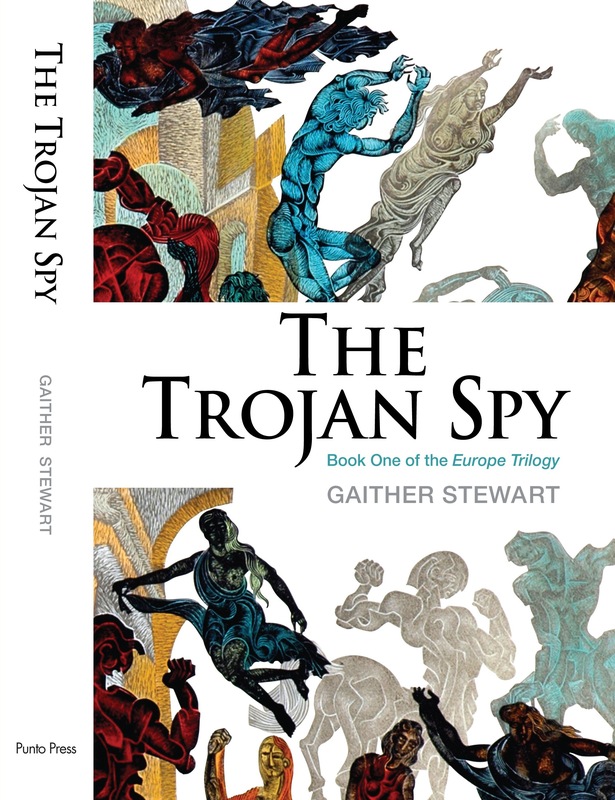 As a work of mainstream literature reaching beyond the spy novel conceptually, The Trojan Spy stands side by side with classics by Le Carré. Stewart’s characters are multi-dimensional, his descriptions convincing, his details live and rich. As a psychological novel, The Trojan Spy delves into the complexities of the human psyche, while socio-politically breaching the uncomfortable issues of the terrorism hype and concomitant tension strategy. Unlike many of his counterparts in the genre, Gaither Stewart knows the countries and socio-cultural realities he speaks of. Like Graham Greene, Gaither Stewart has always remained a journalist; an observer with a remarkably keen eye for the absurdity of conflict, human behavior and politics. Like John Le Carré, Stewart is a superb storyteller, dissecting the soul with the precision of a neurosurgeon and the kindness of a seasoned psychotherapist.